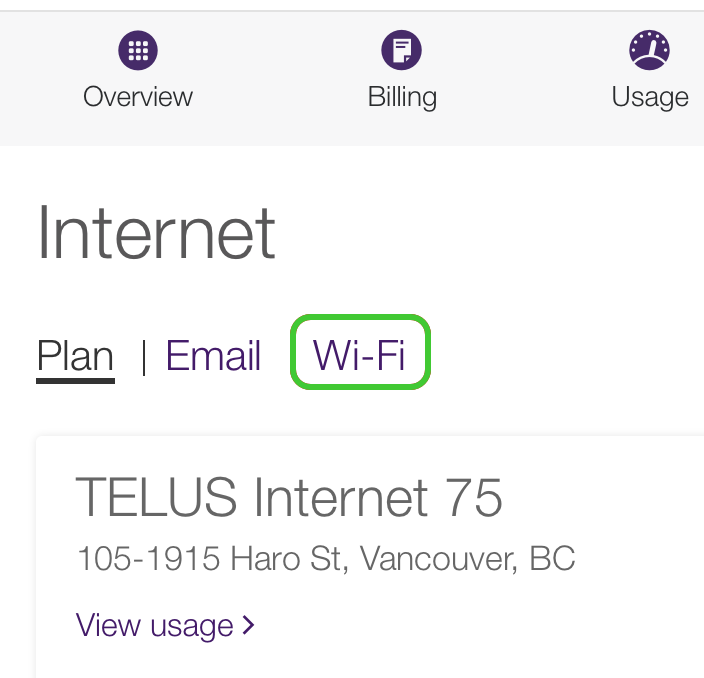 This article explains how to change your Wi-Fi network name and password using your My TELUS profile. Don’t have My TELUS? Register now. Note: Once your changes are saved, you will be disconnected from Wi-Fi and will need to reconnect on all of your devices with your new password. On some devices this may require you to forget your old wireless network. Check your manufacturer's instructions to learn how. It can take up to 48 hours for your changes to appear in My TELUS. In the meantime, your changes have been saved to your modem and you should be able to log onto your Wi-Fi network with the new information that you entered in My TELUS.